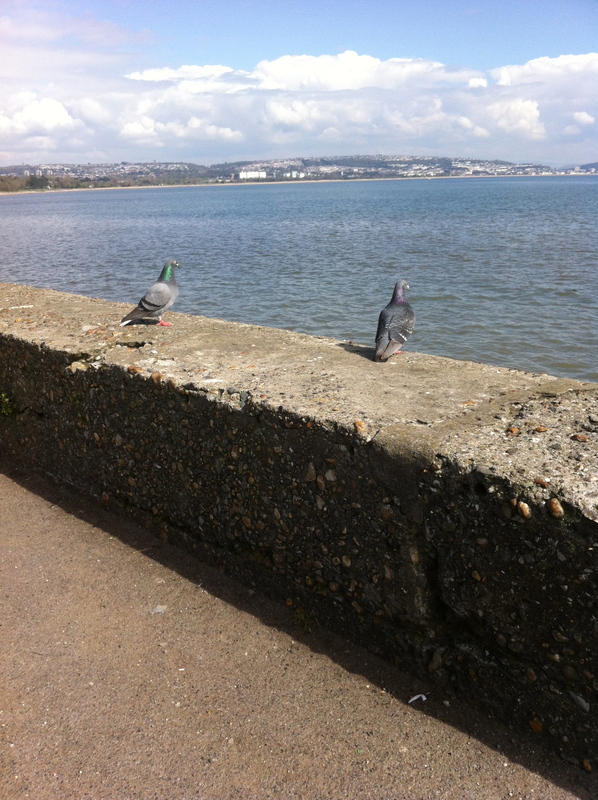 Mumbles is a lovely village here in Swansea, very popular with locals and tourists alike. I read through the Wiki entry for Mumbles, and I didn’t realise how many celebrities lived there or have properties there, the most famous being Catherine Zeta Jones/Michael Douglas who are regular visitors. 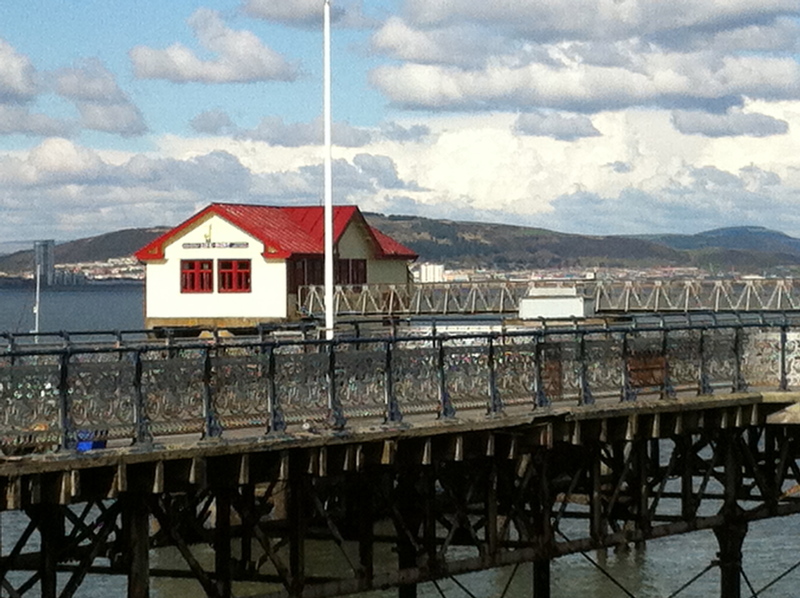 The promenade starts from the Marina area of the city and travels the whole length of Swansea Bay, ending at Mumbles Pier, a total of about five miles or so. 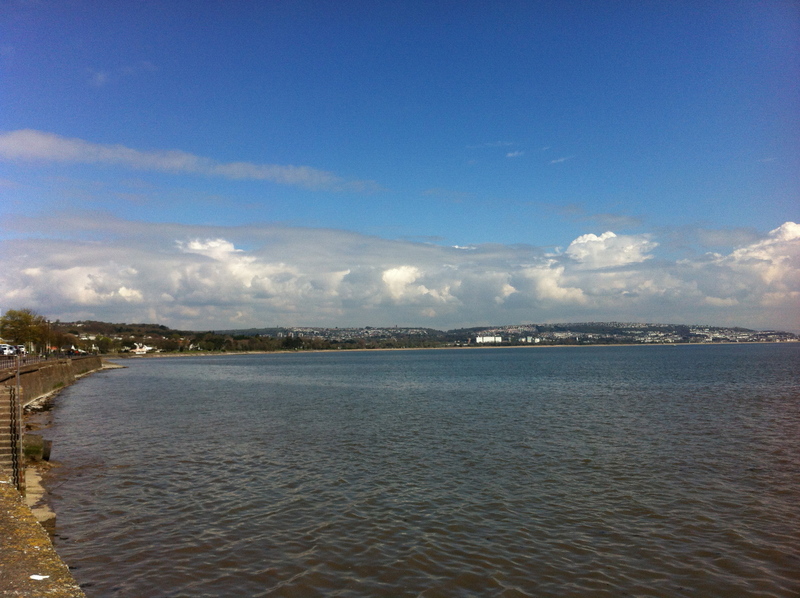 We didn’t walk the whole way, we drove to the village and then walked the rest of the way to the pier. 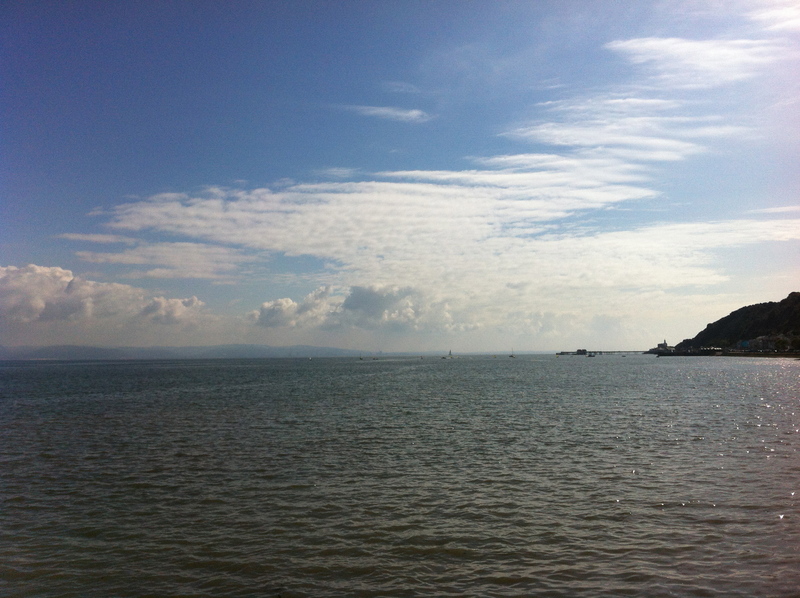 Mumbles lighthouse in the far distance. 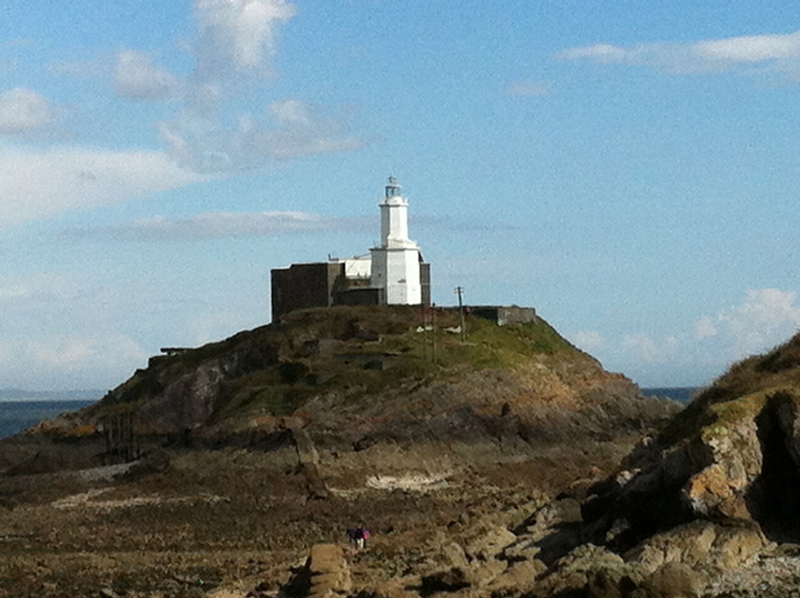 Mumbles Lifeboat Station which is linked to the pier. 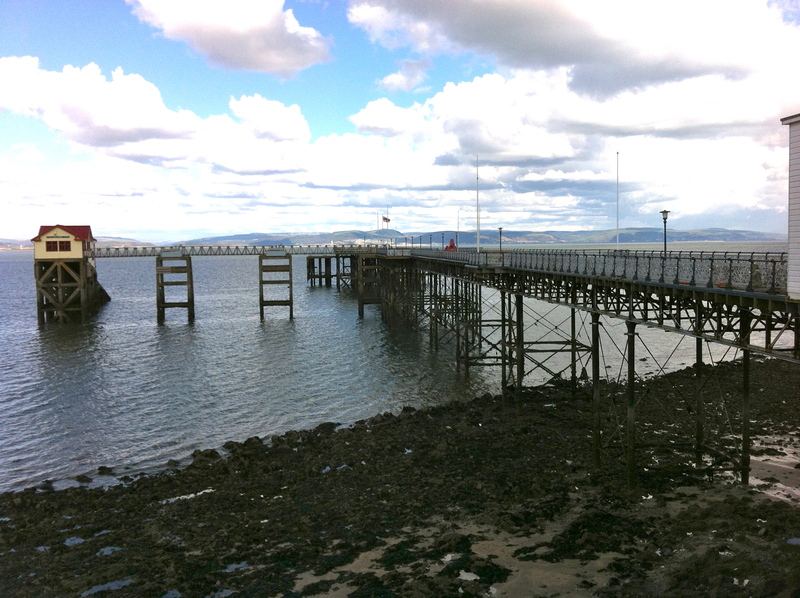 Unfortunately the pier was closed for refurbishment. Why is it that any time off you have from work seems to fly by so quickly? I was off for a total of 11 whole days and yet once I got back to work it felt like I’d never been away. 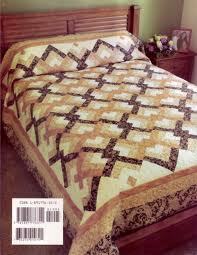 I did make a trip to the quilt shop here in Swansea, called Red House Quilting. The shop isn’t that big, but it’s amazing just how much stock they have. 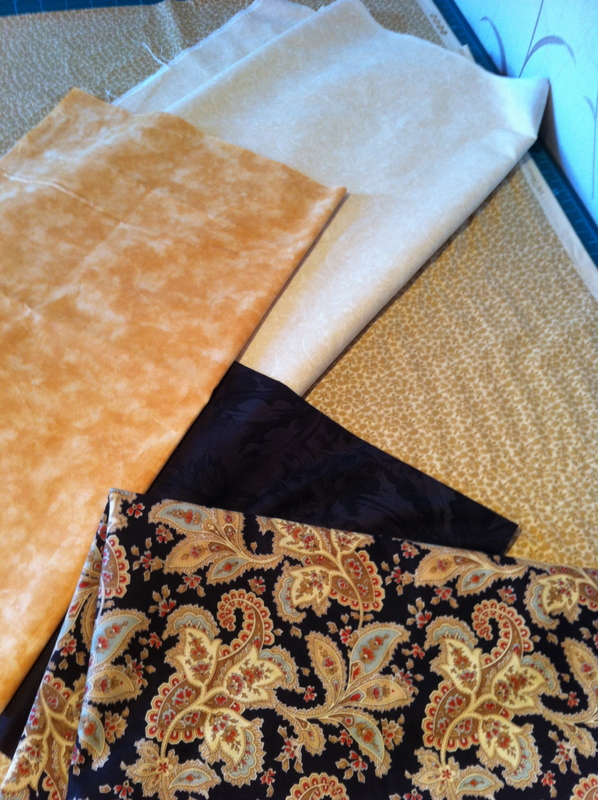 I had some gift vouchers to spend there, and had found a pattern for a quilt that I fancied making, so Linda from the shop spent a long time with me choosing fabrics and as I am useless with colour schemes of any type it was a good job she did! 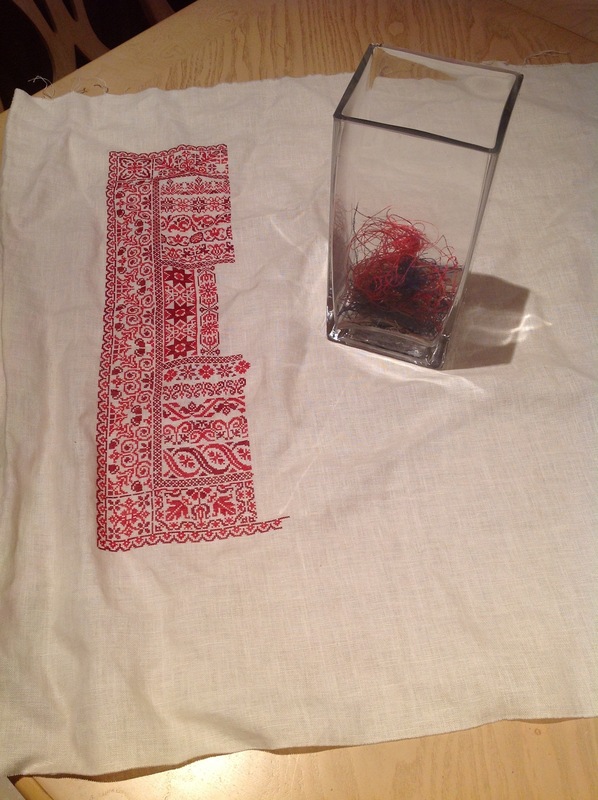 Here’s the fabrics, which have now been cut up into little pieces and will eventually (I hope) look like this….. which is the picture on the back of the pattern book. 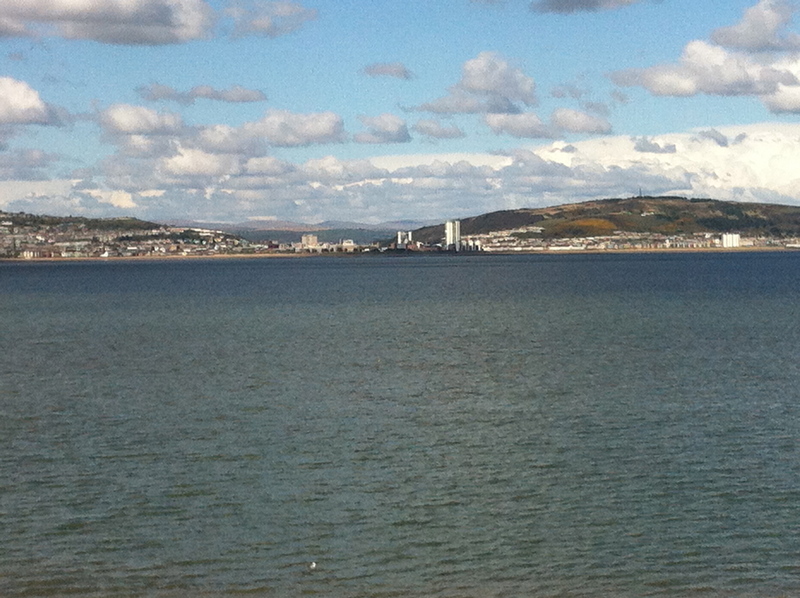 My mother came with me to the quilt shop, which is in Mumbles, a very popular tourist area here in Swansea. We had some coffee, some lunch, some more coffee, and some ice cream, all mixed in with a bit of window shopping and a lot of walking! 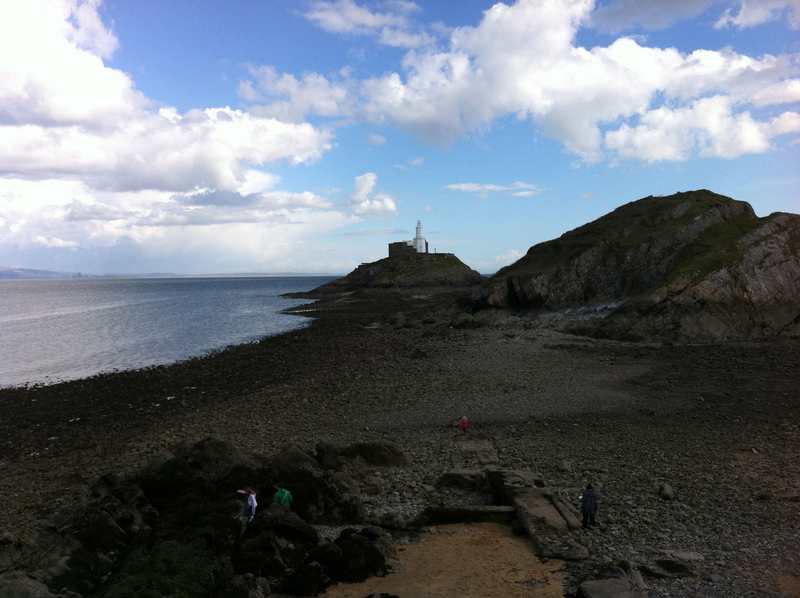 The photo in the heading of my blog is of Mumbles, and I did take a few photos of my own which I will put in a separate post. 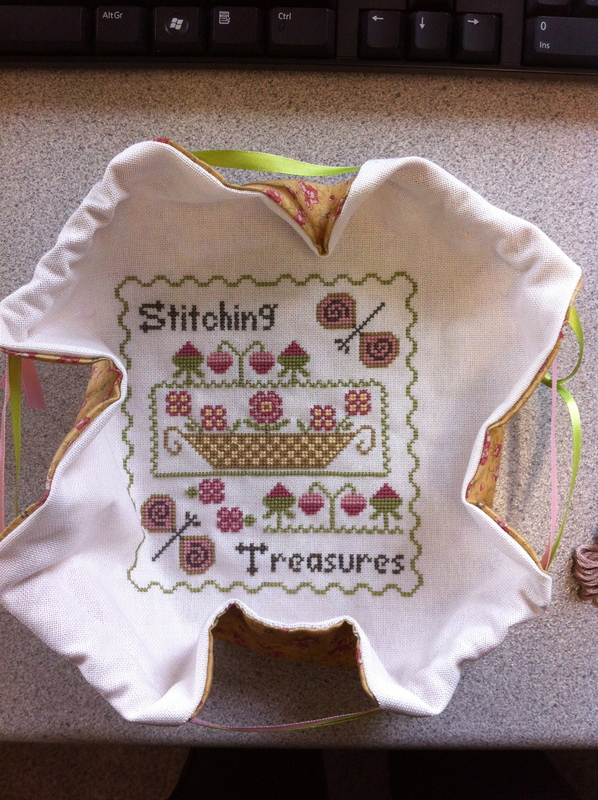 The chart is from the Gift of Stitching Magazine. I also made a little scissors fob. Unfortunately I did not take a photo of the bourse pulled into a little bag, hopefully Ursh may take one when she’s back on her feet and I can borrow it. Apologies for the quality of the photos, they were taken in work just as I was packing them up to take to the Post Office when I realised I hadn’t taken any photos at home. I haven’t got too much to share in this months Wipocalypse update unfortunately, but today is the first day of ten whole days off work, which are desperately needed, and I’m intending on getting lots of stitching done over those ten days! 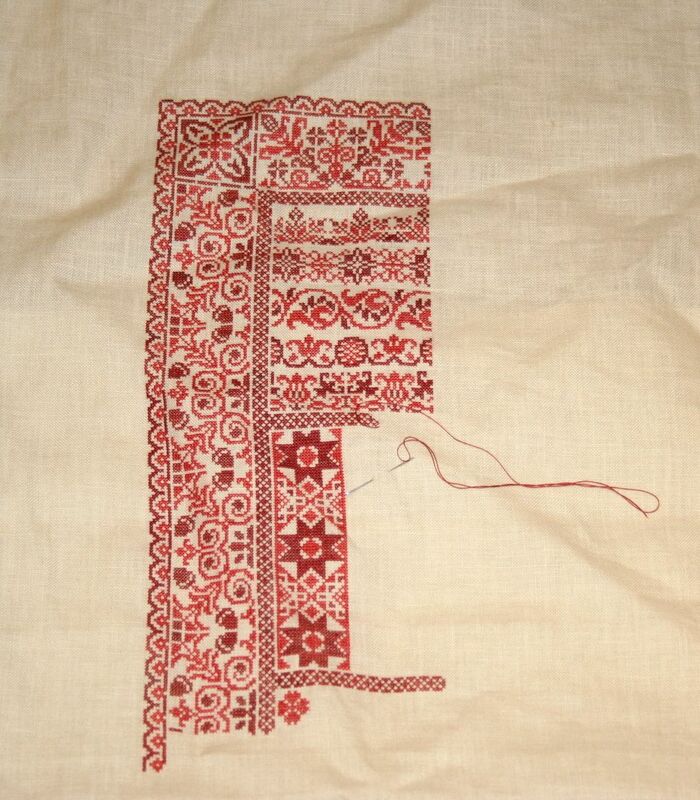 During March I worked on Ribbon Sampler and made some good progress. 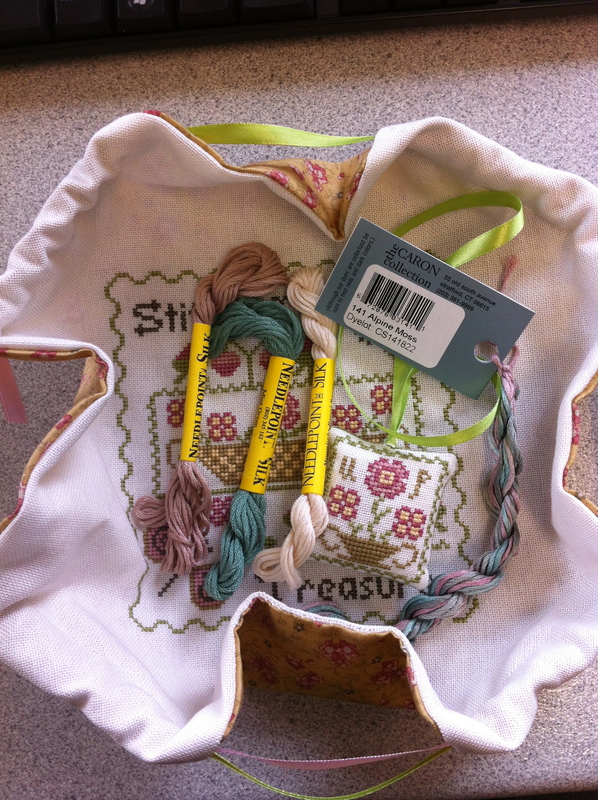 On 1st April Ribbon Sampler went back into the WIP drawer and was replaced by Sampler Aux Bouquets by Jardin Prive. 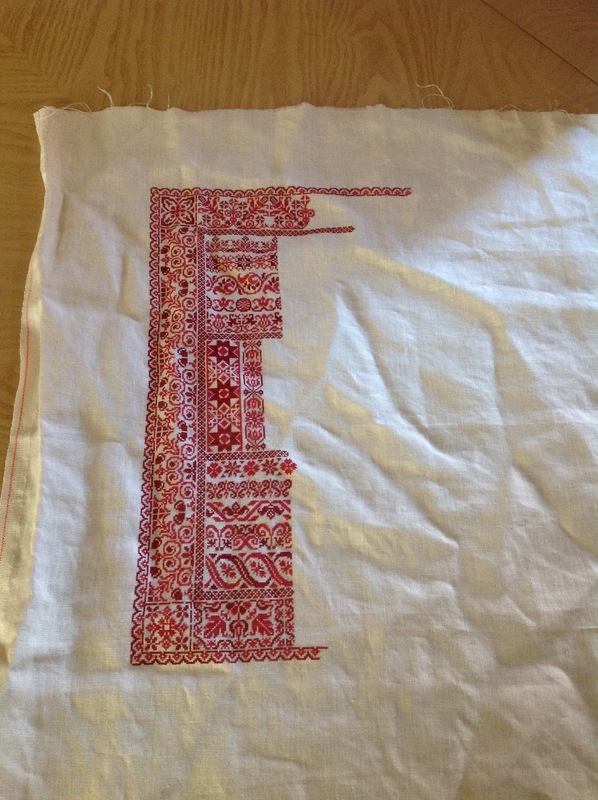 Apologies for the extremely creased fabric! I haven’t made that much progress yet but will update again before I go back to work. 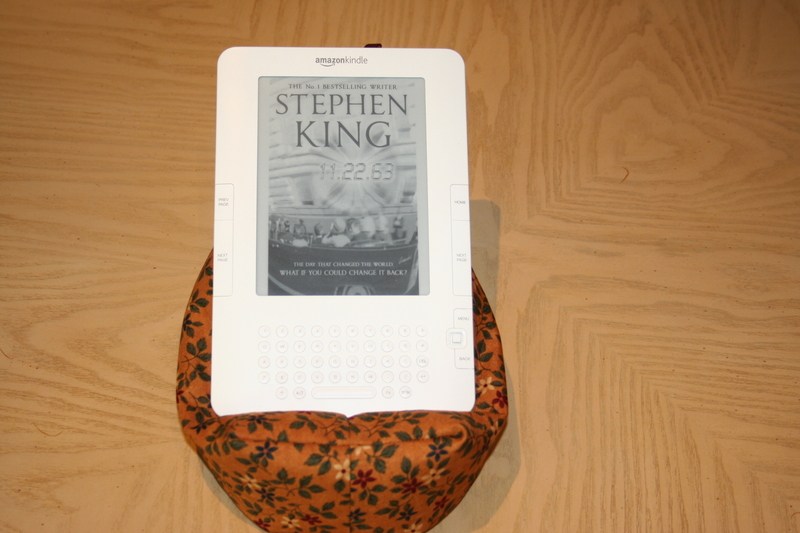 While I was browsing around one of the stitching forums last week I saw a post by someone who had found a website selling bean bags for Kindles/Nooks/iPads etc. While I thought this was a great idea, when I looked at the site I found that they were charging $23.95 each. 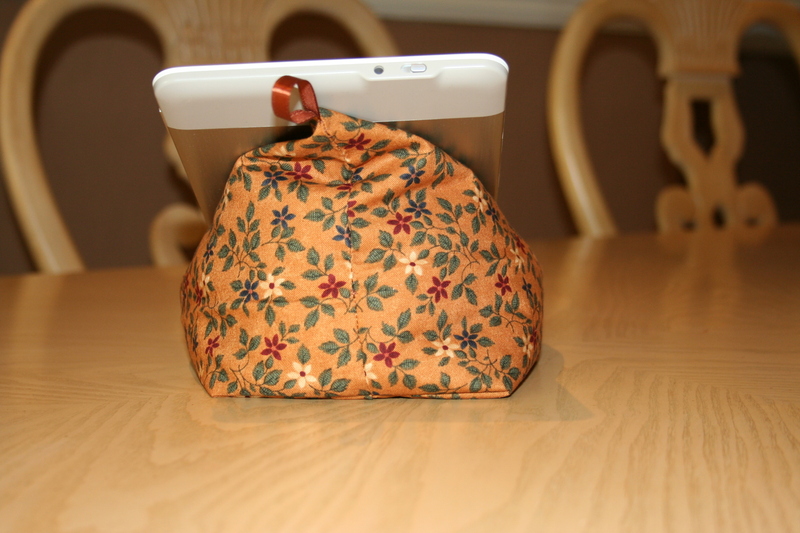 I decided that I would try and make my own version, so after a bit of googling I sat down at my sewing machine and made my first attempt. 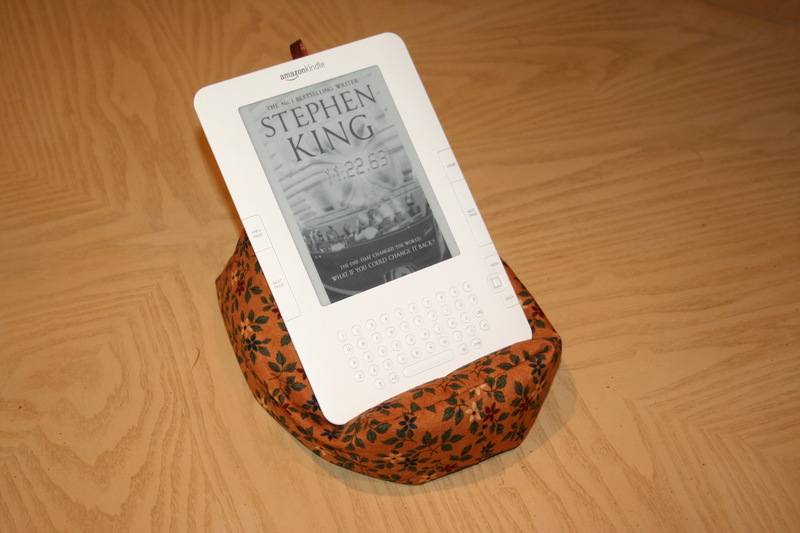 I’n extremely pleased with the way it turned out, although I think I would probably make it larger next time (I have the “old” Kindle which is significantly larger than the newer versions). I’m definitely going to make some more of these, they are so quick and easy to make (if I can do it, anyone can!) 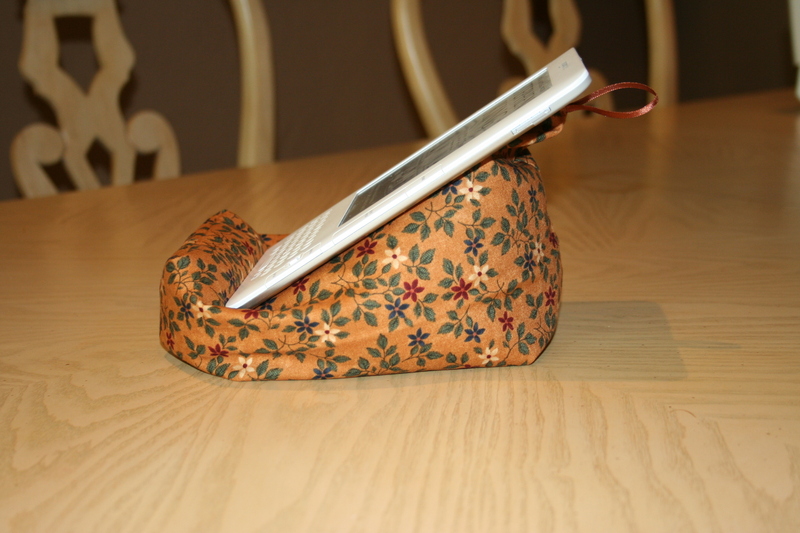 and can see them being very useful for mobile phones, iPads, even paperback books. I’m killing two birds with one stone in this post, by sharing my TUSAL update for this month and also showing you the reason for all the red threads in my TUSAL jar! I’ve made lots of progress on Ribbon Sampler, and have now finished three full pages, apart from a small section of the middle page which is satin stitch not cross stitch and which I’m leaving until later on. Time seems to have flown by since the last WIPocalypse update. I know February is a shorter month and all, but it really was a “blink and you’ll miss it” kind of month. 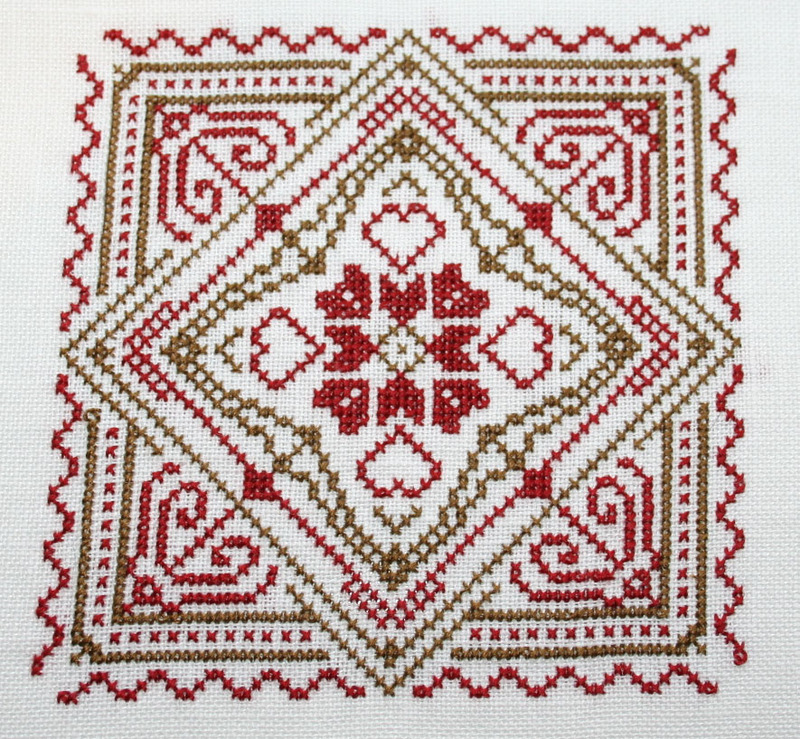 Since the last update I have had one small finish, which was Hearts in a Square designed by Claire. 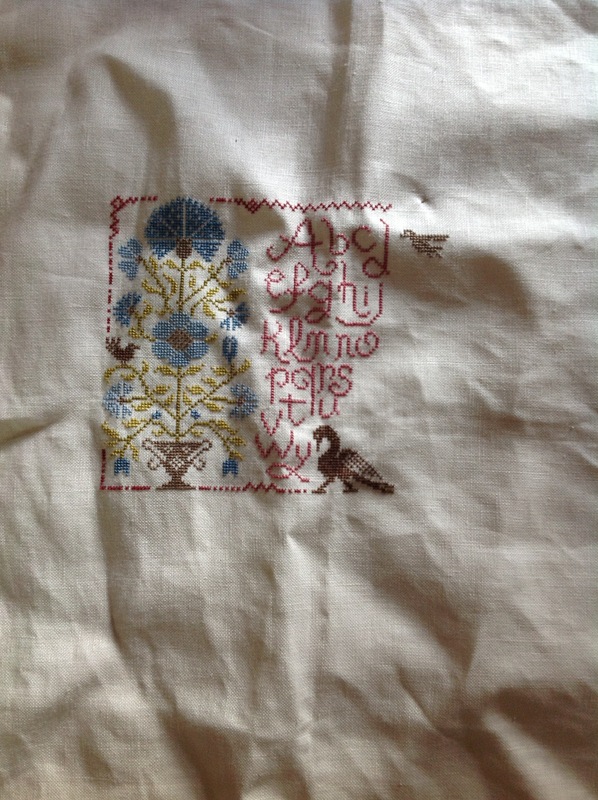 I’ve also made a little progress, although not as much as I would have liked, on Brambles. Sampler Cove’s Ribbon Sampler and once again it’s been over two years since I started this project. 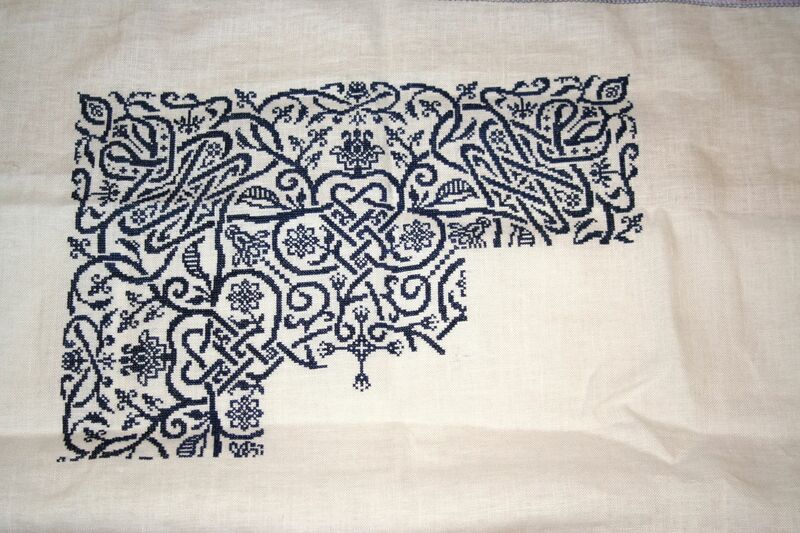 I think I’d better get off this computer and get stitching! Just a quick post to apologise for not begin able to comment on any blogs lately. I’ve been fighting with my computer for the last week or so, but have now got it sorted out. I have to say that I LOVE my computer, don’t know what I would do without it except when something goes wrong with it. I have been able to read blogs on my iPad but it’s a bit of a pain leaving a comment using that, especially with the new word verification thing Blogger seems to have at the moment. This weekend I’ve realised that the older I get the harder I find it to keep up with technology. I used to love tinkering around with computer and electronic gadgets for hours at a time, now I just want to plug it in and for it to work!! 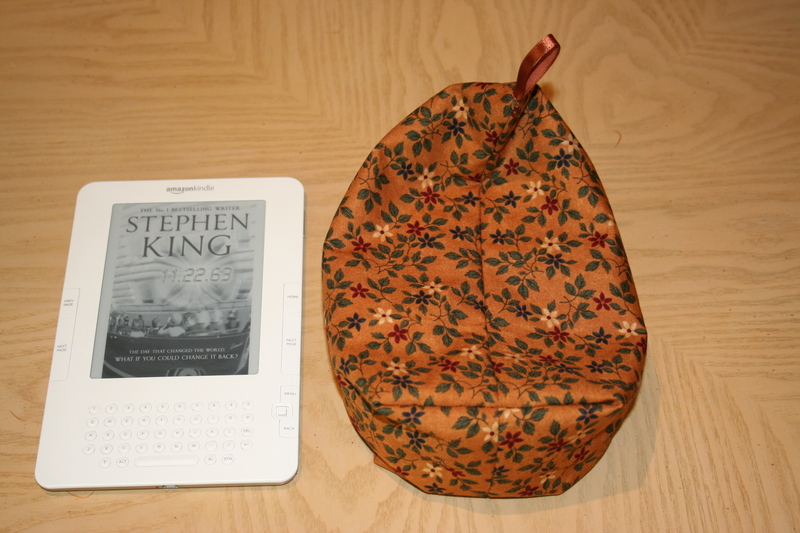 Anyway, my computer is now working as it should and I will post an update of my stitching later today.